The never-ending search for something different, new, and utterly cool. 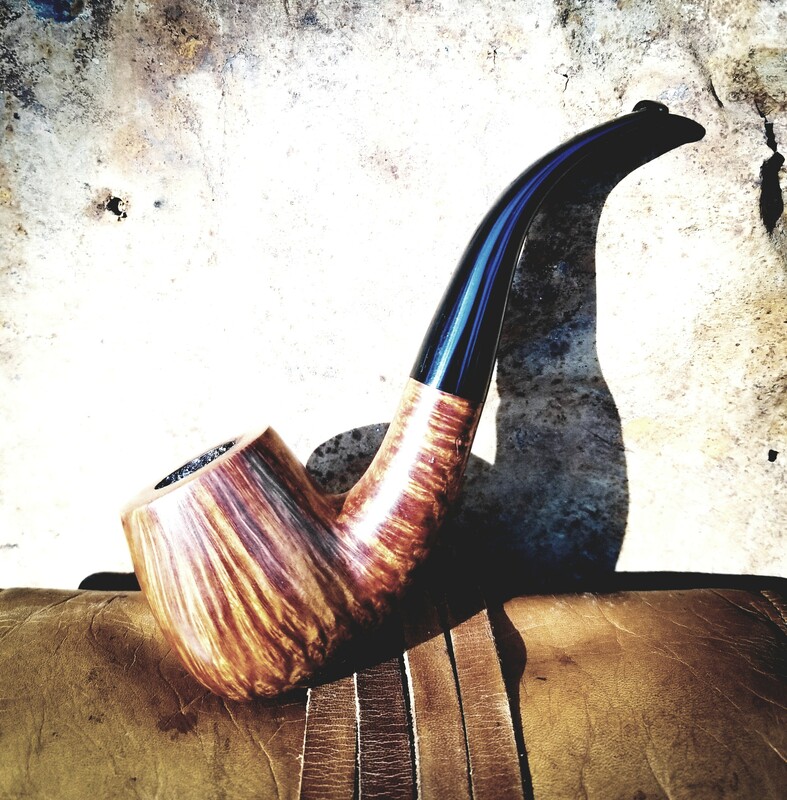 We all know it, we all experience it, and no matter how extensive our pipe collection may be, always, at the back of our minds, there lurks the lust, the desire, for something different, new, and utterly cool, for something we simply have to have. Whether it be large or small, long or short, rough or smooth its image haunts us until we can finally experience the happiness of actually possessing it and making it the pride and joy of our collection. This is going to be good. "The one pipe" is what most of us will have a problem with. But, I look forward to seeing what others choose as "the one". I’ve got a handful that I’d probably never get rid of but this one will be the last to go. @Spillproof talked me into buying it and I’m glad he did. Yes it's very easy to sell Abe Herbaugh pipes. So easy that I do it for nothing. I really can't pick a favorite pipe. That's not me being evasive or trying to be a prick, I'm just a pipe nerd and there are too many variables at play. But probably a BST though. Or an Alden, Armentrout, Cooke, Herbaugh, King, Layton, Maddis, Parks, Piersel... Or maybe a Castello or a Dunhill. Or a Radice. Very nice. Love that grain. I have a theory that the kind of finish we most like - rough or smooth - indicates our personality type or the current that runs most deeply in our psyche. I wonder what a rusticated finish indicates because I like that most too. Are there any psychologists on board - or psychoanalysts? As of right now, probably my MM bent apple Diplomat with a freehand stem. It's great in the hand, smokes as well as any cob with 900ish bowls through it, and looks like pretty much any cob with 900ish bowls through it. There are several makers on my "someday" list, but this is the one they'll be competing with, when I get them. I'd have to say this Savinelli Dry System (620). Especially now that its broken in. I can't pick one. I have about 10 that I will never get rid of myself. I can't see me ever selling any one of my pipes. I only own a couple anyways. One of my hobbies is restoring estate pipes. I taught myself by buying cheap estate pipes and restoring them myself. I sold 4 of them last month and have another 15 I am trying to sell or donate to troops overseas. someone else's smoking pipes. right? Every pipe I own has its story to tell, and that's why they are special to me. This magical BST pipe. I have a lot of great smokers and many that I would never part with, but........ this one for sure is going nowhere except my mouth. I assume this is the pic @Sasquatch posted here before you bought it right? this doesn't look like it's been in anyone's mouth yet. If this is a picture of a smoked pipe, you've gotta tell me your secret cleaning method. 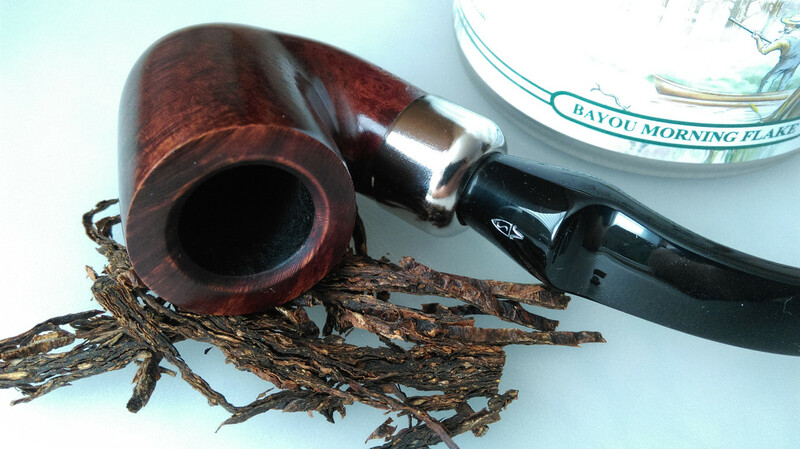 it's of course a very pretty BST pipe. What a fantastic grain! You can almost feel the tremendous energy of the tree as it flows upward thrusting itself into the light. There's a haiku somewhere in that second picture but I can't think of one just now. .
Actually, every estate pipe I've bought I've smoked numerous times. I just started selling some of them off when I realized I had 60 pipes and some I haven't touched in months. Actually, every estate pipe I've bought I've smoked numerous times. I just started selling some of them off when I realized I had 60 pipes and some I haven't touched in months. My question was: your main intention when buying those estates was to have a new restoration project, right? I don't necessarily need to buy more and more pipes to be able to keep that hobby going.